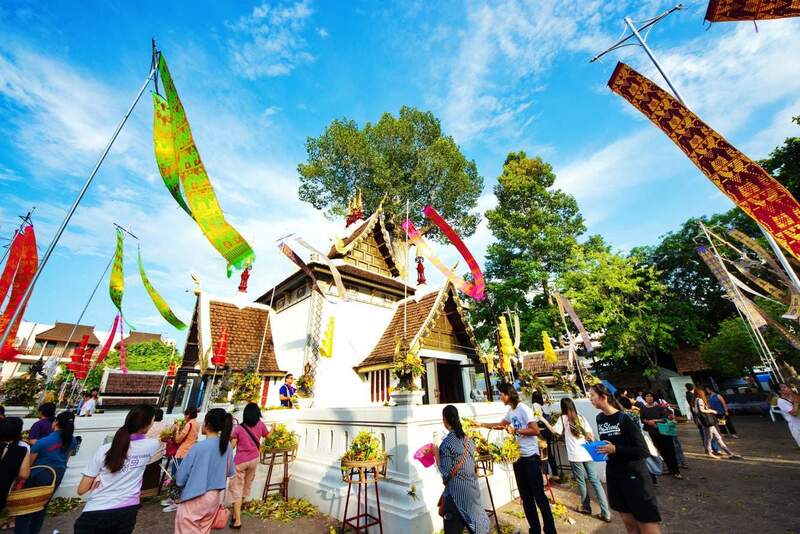 Inthakin is an annual festival held in Chiang Mai to celebrate the worship of the grand city pillar as well as the giving of offerings. 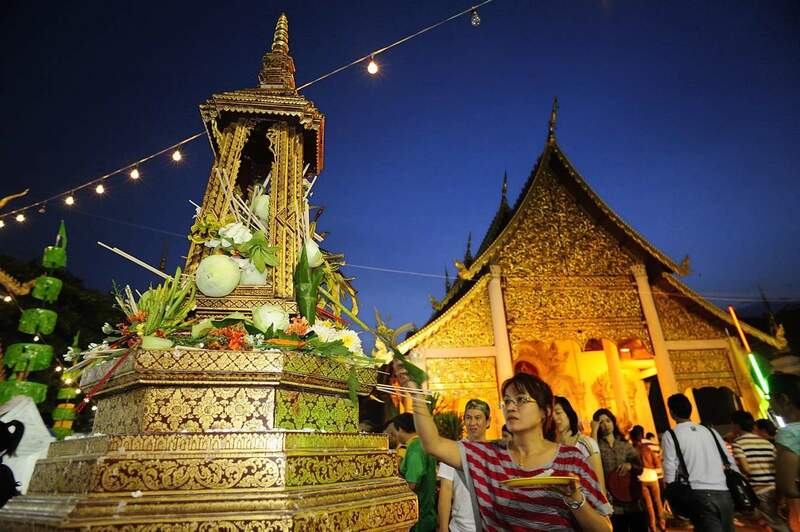 The pillar was first constructed by King Mangrai in 1296 following the foundation of the city and was later moved to its current location inside a shrine in 1800. 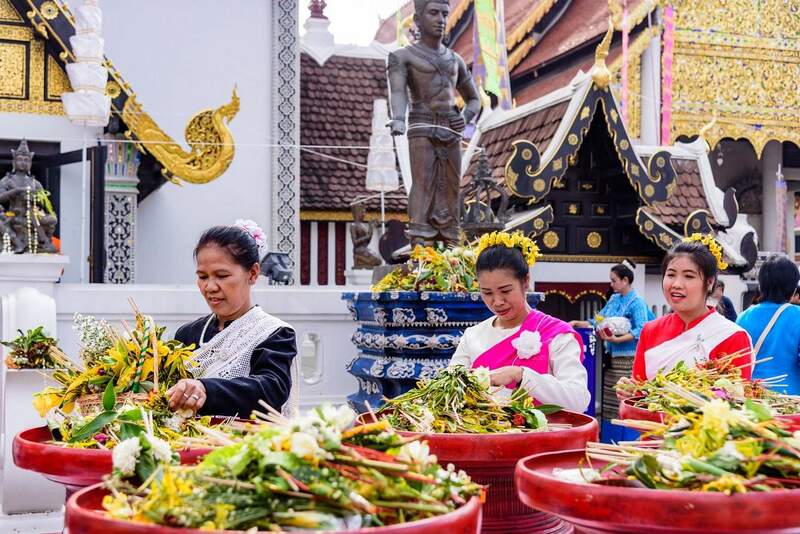 The festival also known as the Lak Mueang Festival begins on the 12th day of the sixth lunar month each year and the festival runs over 8 days. 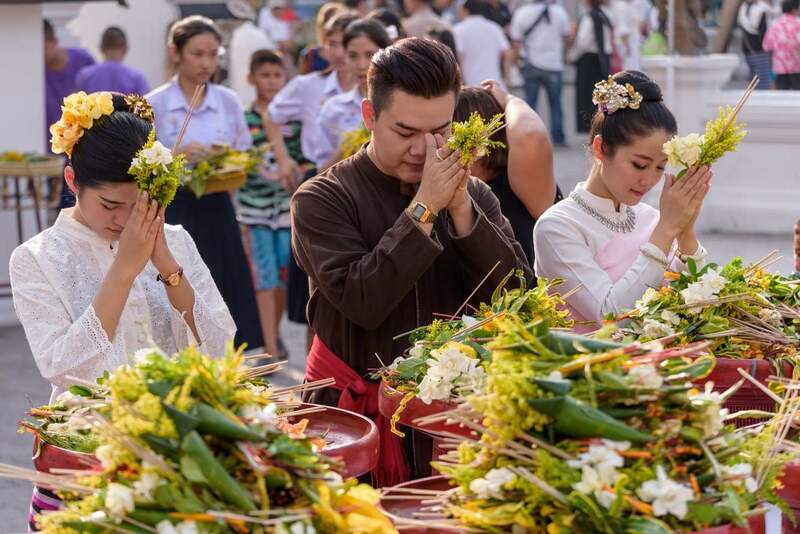 The first day is filled with different activities from the making of offerings to the burning of incense and the lighting of candles. 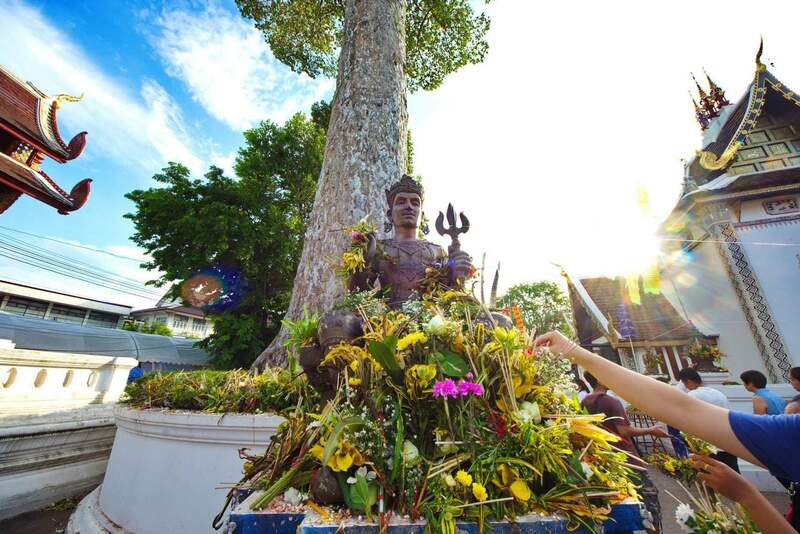 In addition to this, Inthakin is marked by dancing, musical performances, games and plenty of food. The magnitude of this celebration is testament to just how much the locals revere the city pillar. 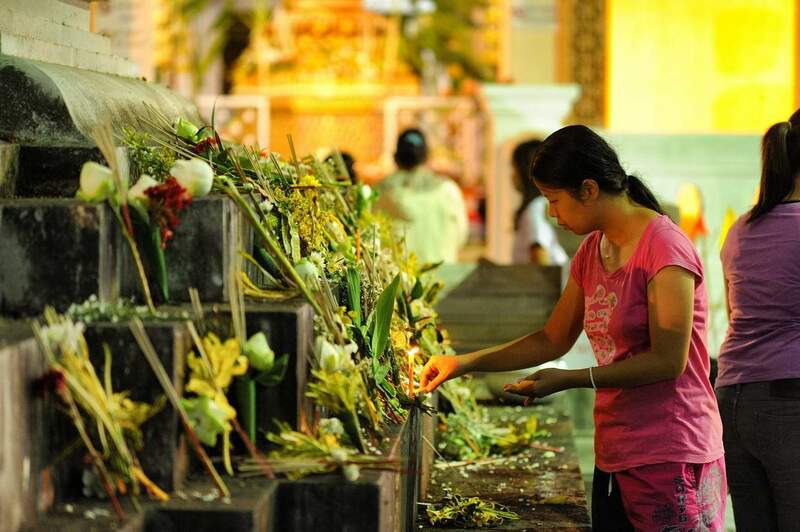 Festivities generally start from 8am with flowers being offered at Wat Chedi Luang and monks will also come to pray. 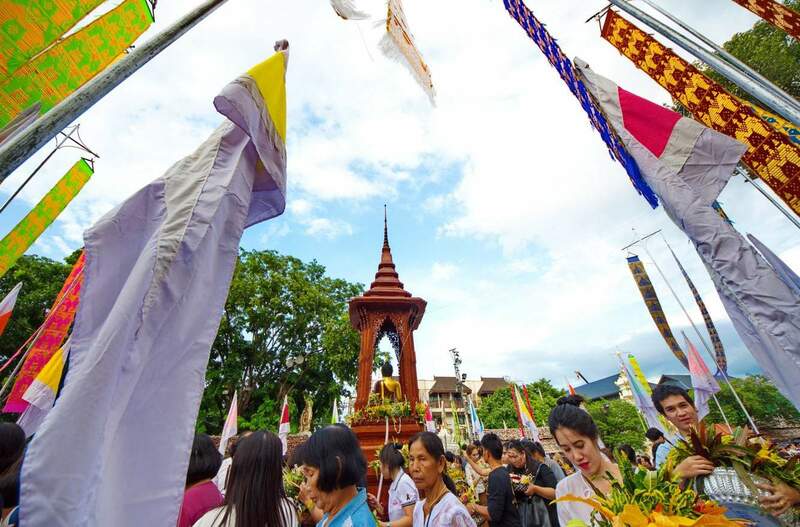 You will also find processions heading around the moat during the day and celebrations will continue into the evening. 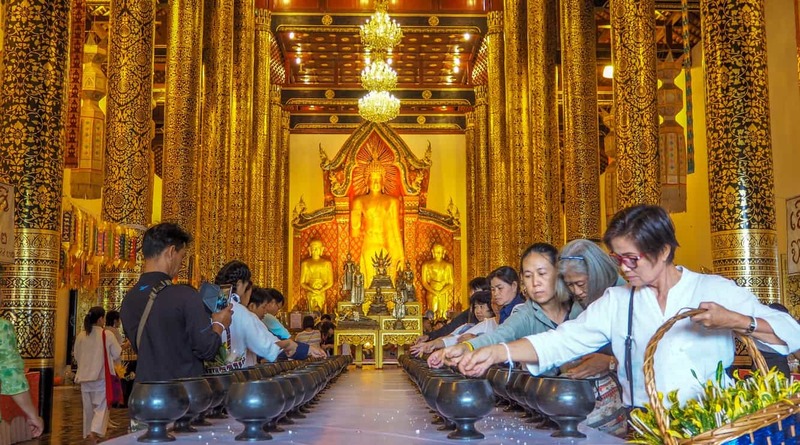 The temple is located on Soi Inthakin, off Intrawarorot road in the centre of the old city near the Three Kings monument.